Linux is basically an open source operating system (OS), which has been favored by people who have sound technical background along with for people who are just sick of seeing the lack of liberty and right kind of privacy in Windows and other operating systems. And when it comes to using the Linux, you need number of commands, which has to be employed for the primary functions including setting up the date, time, changing the password and even when you want to log out from the Linux based PC. Important note: Linux commands are case sensitive. This is the command to clear screen. When you work with Linux you have a great amount of possibility of trying loads of commands. This means you need to clean up the screen time and again so that you could focus on your desired job. In order to clear the mess you need the command of clear wherein you simply have to type ‘clear’ over the command prompt to see things clean over your screen. This command is also useful when you have to type long commands, which can confuse the users to see different details over the screen. Shows list of files and directories. This is probably one of the most commonly typed commands. This has many options to see different types of files and it also supports wild cards. Copy a file or directory from one location to another. There are hundreds of commands and each of these commands are supported with dozens of options. You can always use this command to explore more options supported by a command. Used for renaming a file or directory. In order to type the date in two digit month formats, two digit time formats, two digit date, two digit minutes, you need this command. This will in changing and setting the date and time over your Linux based computer. This command is very much useful when you want to log on being a root. Set current system date to "June 20, 1985, 5:27 PM"
The computer users are often known to check the availability and consumed memory space over their systems for both the Linux and Windows desktop PCs. You can easily check the amount of memory available over the disk at your Linux system by simply typing the command of DF. It helps in offering you the status of file system disk space over your Linux based system. Display the top running processes on the system with memory and cpu utilization. Display the list of all running processes on system with their status. This command will compress a file in gzip format. Display last few lines contents of a file. Very useful to watch latest content updates on log file. Copy the directory "mydir" from the local host to a remote host's directory "myremotedir"
Used to display the content of the file on console without opening it in a editor..
Used to display the content of a file on console with option to navigate in case the content is too large to fit in screen. Find a file myfile.txt in current directory and its subdirectories. Find all .doc files on the system that have been modified in the last 5 days. Find all files that contain a string “I am inside file”. This command is used to search all the lines in all files in a specified location containing a string. For better security, the permissions for file in Linux OS are categorized into different groups, users and other sections. You have the option of controlling the permissions by assigning the users under the given divisions via the command of ‘chmod’. These permissions would help the users to write, read and execute the respective files. This option is very much handy when you have to run a script in order to install the package, which remains non executable in the default for security reasons. With the command of ‘chmod +x’ you could end up making the script executable over your Linux system. Change ownership of a file. You should be either root or the owner of the file to successfully run this command. This is the command for changing the password. Passwords play an important role in securing your data found in your desktop computer. In order to keep the system full proof against the hacking attacks, you need to keep on changing your passwords every three months. The users over Linux computers could do the same using a particular command of ‘change password’ over the command prompt and do the needful. After you type the command, all you need to do is to type the new password twice, and you are done with the same. Command for logging out. By typing this command, you would be logged out from your Linux based computer. This command will help in disconnecting from your Linux based PCs or simply help in logging out the session that you are seen over your desktop. All you need to do is to remember the account you have logged out as it may bring a couple of security issues. Hence it is highly suggested to use a log out the moment you finish your task over your PC. The command to terminate the process by its process id. You may find certain Linux applications not responding at such junctures, you could simply get away from this scenario by typing the kill command, which will help in terminating the process. For this you need the process ‘PID’ of the particular application, which could be done with the help of “ps” command. You could further use this command to kill the command to terminate the application, which is not responding. Though this may not be called as a command by many yet it is among the important steps to master while you start working with Linux over the command line. For this you need several tools, which also include the pipe. These help in redirecting the output (that is often printed over the screen) somewhere else like the text file or any other application. This command is used to complete any file over the Linux system. This is the command for recall. You need to use history to rerun any command. If you enter this command without any kind of switch, you end up getting the history list along with the line numbers. Also, you could even perform some additional search of the given history list with this command. Use this to quit the command line shell on a linux system. Commands have great importance in Linux. You cannot move an inch while using the Linux based PC. 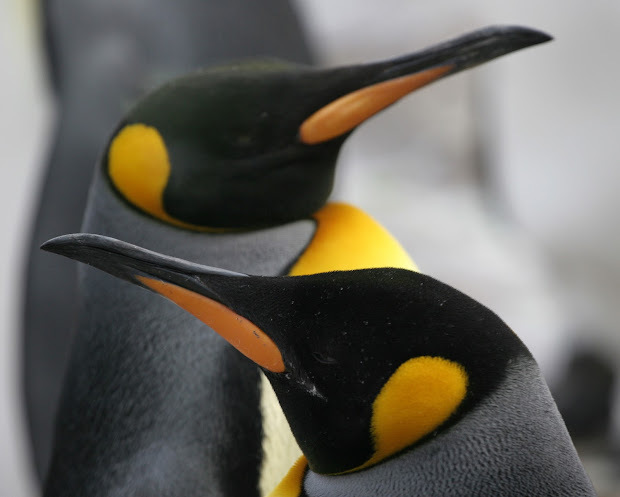 The above are some of the best commands for the beginners, which are mandatory to run a Linux based computer. It can be really frustrating to get started on any linux system if you do not have idea about basic operations. I hope these commands empower you to do something more productively. Are you still facing issues in doing something on linux? Share your experience on comments? yeah you have mentioned some basic linux commands. Thanks for sharing as always. Now i see myself and people installing linux os as the primary suffer to install software manually through command prompt.